Seriously - is it Monday already!? 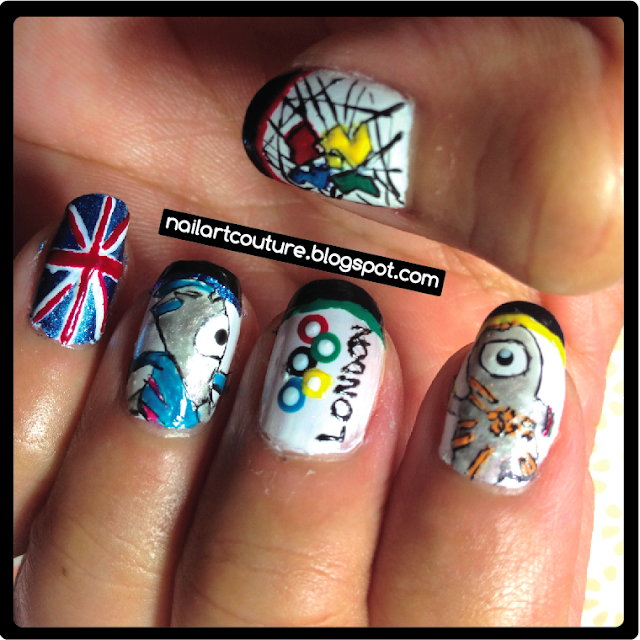 Last week was filled with amazing link-ups as always, and I especially loved Nail Art Couture's Olympic Mani - I know, I know, another Olympic mani is being featured, but a) it's amazing and b)I must have Olympic fever! 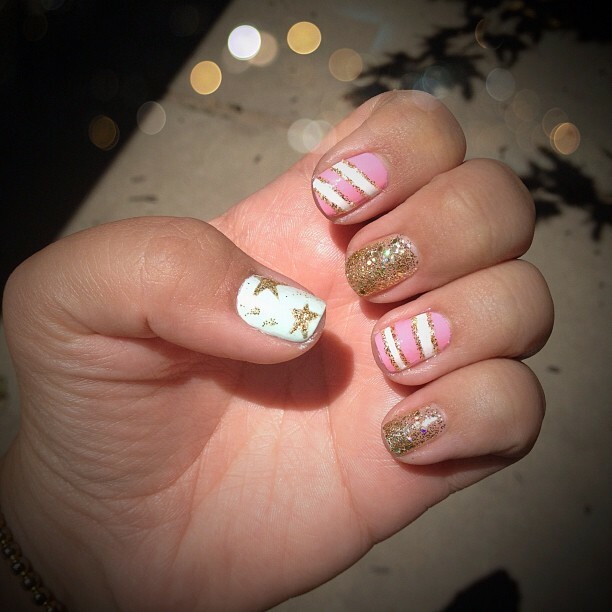 My own mani is pretty fun, and inspired by THIS one I found on Pinterest. The fabulous girls at TL Nails in Livermore did it for me and I couldn't be happier. If you're local, make sure to check them out! Colors used: Susie, Sadie and Oscar (all by Julep) and Grillz by Pams and Kin. I love the pink number- super super cute. I love how each nail is different but the colors used makes it look so classy! Ok I seriously need to jump on this mani train! So many talented people linking up !